A powerful earthquake shook the Iran-Iraq border late Sunday, killing 207 people and injuring 1,686 in the mountainous region of Iran alone, Iranian state media said. 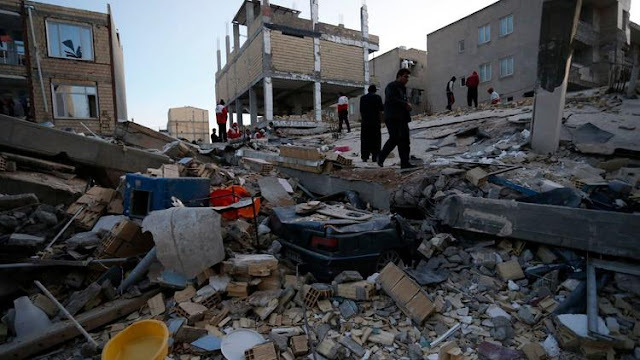 A powerful earthquake shook the Iran-Iraq border late Sunday, killing more than and wounding more than 1,600. The Baghdad government did not immediately give word on casualties in that country, though Prime Minister Haider al-Abadi issued a directive for the country's civil defense teams and "related institutions" to respond to the natural disaster. The magnitude 7.3 quake was centered 19 miles outside the eastern Iraqi city of Halabja, according to the most recent measurements from the U.S. Geological Survey. It struck at a depth of 23.2 kilometers, a shallow depth that can have broader damage. Magnitude 7 earthquakes on their own are capable of widespread, heavy damage. Iran's state-run television reported the increase in casualties early on Monday and said rescue work was continuing overnight and would accelerate during the daytime. Officials announced that schools in Kermanshah and Ilam provinces would be closed on Monday because of the temblor. 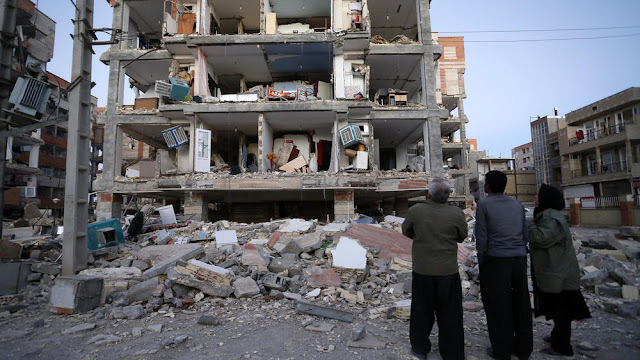 Iranian state TV also said Iraqi officials reported that at least six people dead inside Iraq, along with more than 50 people injured in Sulaymaniyah province and about 150 in the town of Khanaquin.